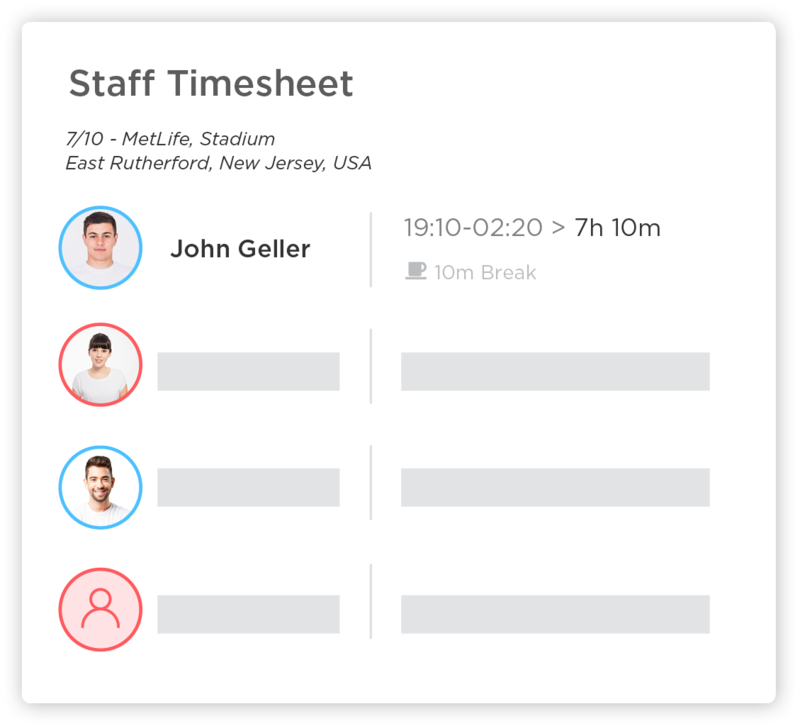 Staff time tracking made for the events-based industry. Keep track of your staff's working hours and create accurate payroll reports. 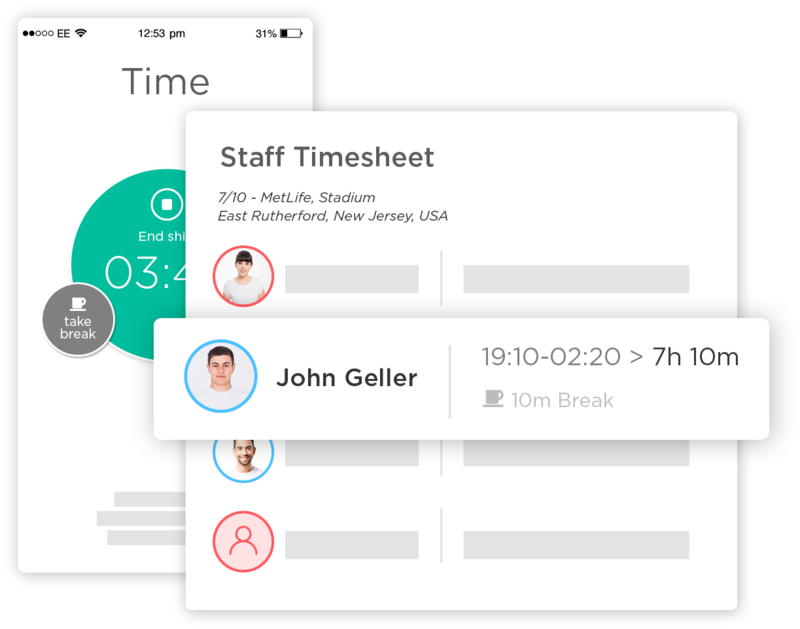 Turn any phone into a time clock by allowing your staff to clock in and out of their shifts directly from the app. No more errors from messy handwriting, lost messages or buddy punching. 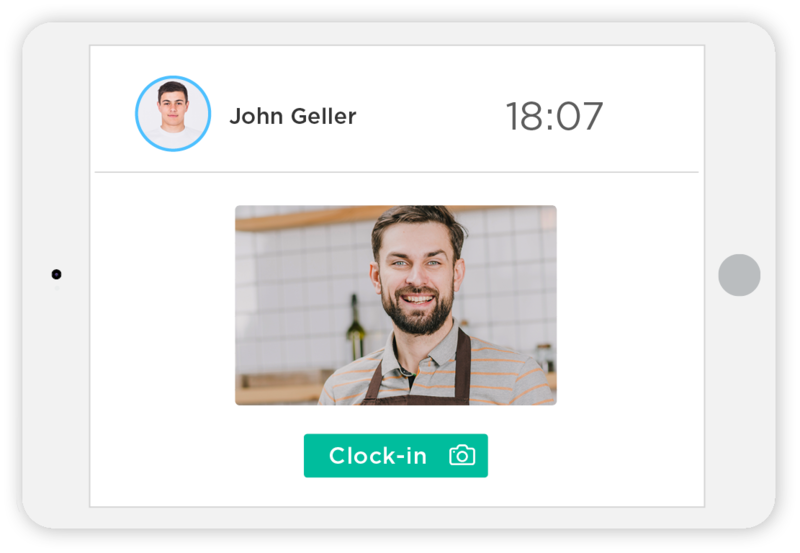 Receive notifications when your staff clock in and out of their shift. By using the GPS feature, you can restrict staff to only clock in when they are at the event's location. 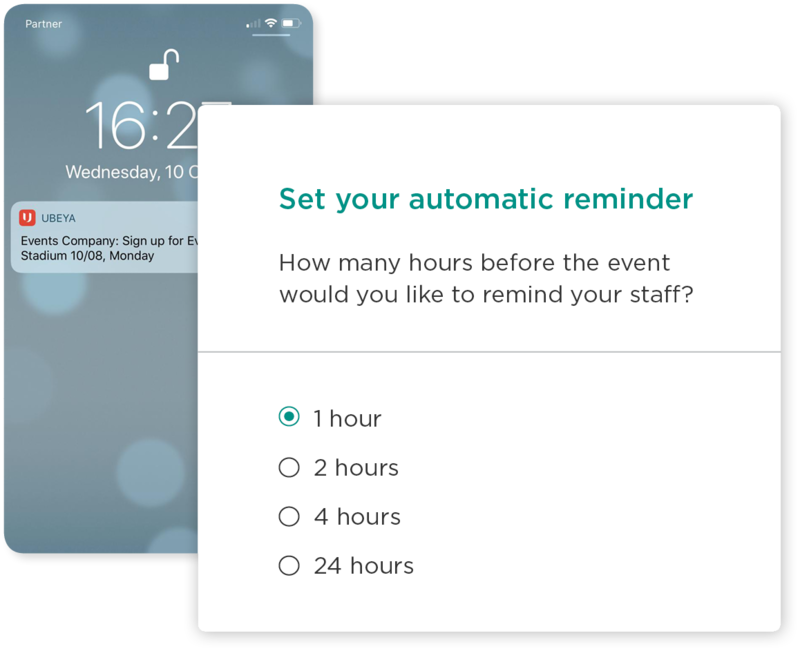 Automatic reminders are sent directly to your staff phone devices to prevent them from forgetting to clock in and out, ensuring organized and accurate attendance. 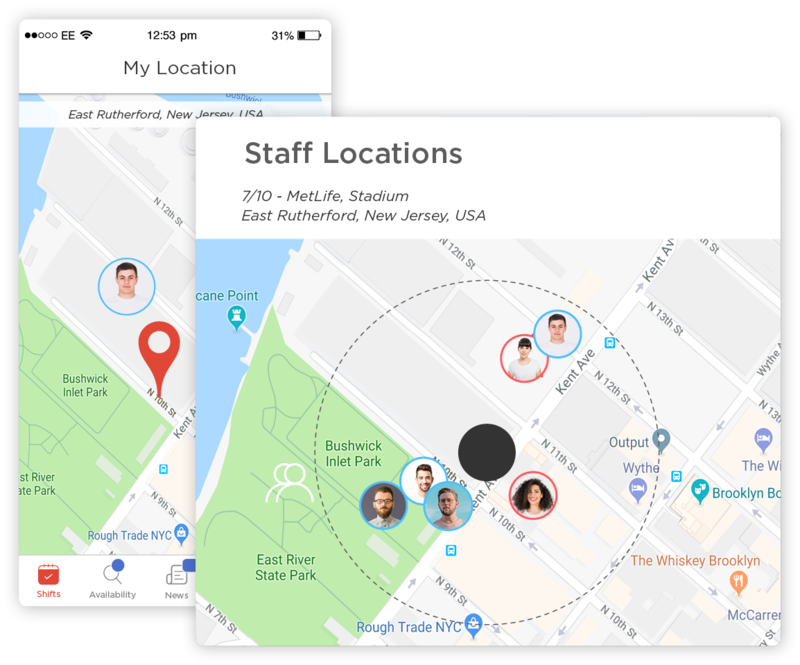 Using the GPS feature for time tracking lets you see your staff on a map and the exact location from where they clocked in and out. Need a stable time clock solution? You can use our Ubeya tablet app as a time clock on a shared device if you have a fixed location or back office staff. Staff are identified by their phone number and live photo so that you easily validate and track your staff.